oesophageal carcinoma, and tylosis (hyperkeratosis of the palms and soles. histologically resemble those of a leukokeratosis. 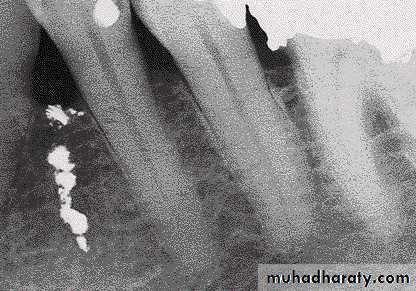 mucosa, but is most commonly found at the junction of the hard and soft palates. Treatment of a papilloma is by local excision. This, however, must be sufficiently wide and deep to include any abnormal cells that may extend beyond the area of the pedicle. occasionally occur in the mouth or, more commonly, on and around the lips. In children these are often the result of autoinoculation by chewing warts on the hands. caused by a local reaction to earlier physical, mechanical, electrical, or thermal causes and are reversible. 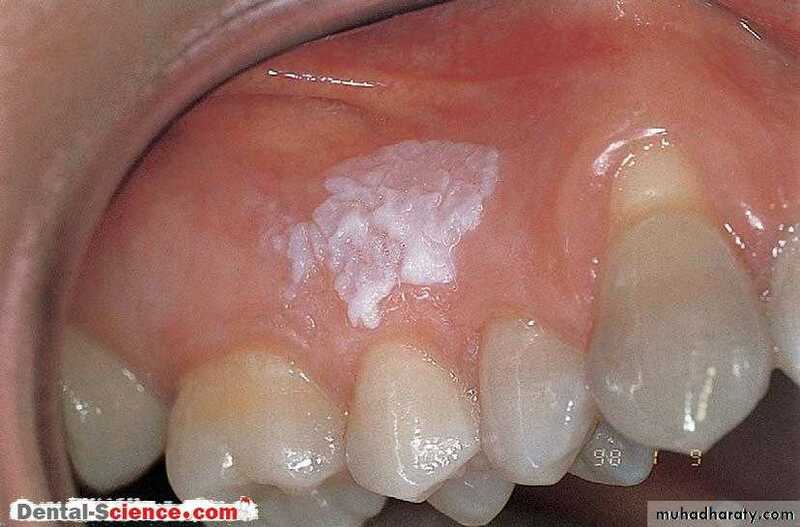 Chemical trauma caused by an irritant substance, such as topical use of an aspirin, can cause either oral ulceration. 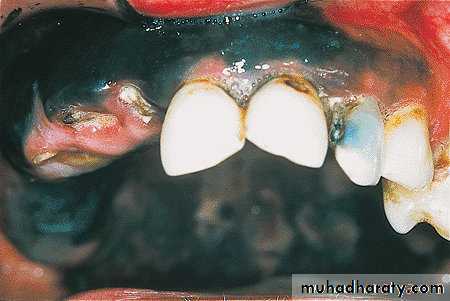 Lesions seen on the oral mucosa of individuals who smoke cigarettes, cigars, or pipes are due to a combination of chemical and thermal insults. the large majority are reversible, completely disappearing if the trauma is removed. The principal change in this particular lesion is in the connective tissue component of the mucosa rather than in the epithelium. changes in the mucous glands of the palate. Following absorption of the metals, they are deposited as metallic sulfides as a grey (or blue/black) line along the marginal gingivae. Intraoral melanomas are highly malignant oral tumours that usually occur as isolated dark brown or black patches on the oral mucosa. In the early stages they may be symptomatic. The appearance is usually of a nodular or macular lesion that is firm to palpate. The prognosis for oral melanoma is poor. their appearance can be quite spectacular.